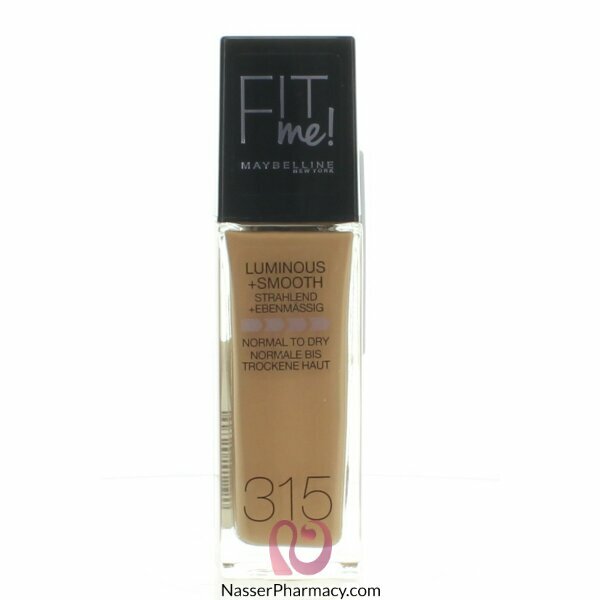 maybellineFit Me Foundation face makeup. Maybelline' smoothing concentrate hydrates rough patches leaving skin with a naturally luminous finish,Ideal for normal to dry skin, this foundation hydrates and smoothes skin texture and leaves a naturally luminous finish. Protects with SPF 18.